Normal Hard disk are not the right product for surveillance camera. Surveillance system require special hard disk capable of reading and writing at a higher speed and should be able to maintain the temperature. They should run at the lower temperature. Since the recording has to be done 24×7 so hard disk should be capable of writing at a higher speed. It should not spend a lot of time on correcting error as is done by normal hard disk. Normal hard disk stop working after some time if used for 24×7 surveillance with DVR writing multiple streams of cameras to disk for recording session. WD20EURS, marketed as AV drives are more effective then that of standard drives and are optimized for Video, designed to be always on. The controller will give up trying to correct an error instantly, unlike a normal drive that will keep trying for many seconds before it gives up. This is the WD Hard disk, required for 24×7 video surveillance. Hard disk plays an important role in CCTV cameras. Choosing the right Hard Disk is most important. One should always provide this special hard disk to their customers as this will be more reliable for 24x7x365 days nature of the usage of this hard disk. 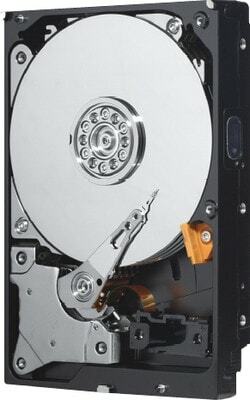 Following link of surveillance hard disk Amazon, has the details of this Hard disk. To buy surveillance hard disk, CCTV of eSSL, Hikvision contact us now. We provide installation service in NCR and provide supply in all parts of India.